Stylish and delightful wood coasters which will appeal to lovers of patterns found in nature. 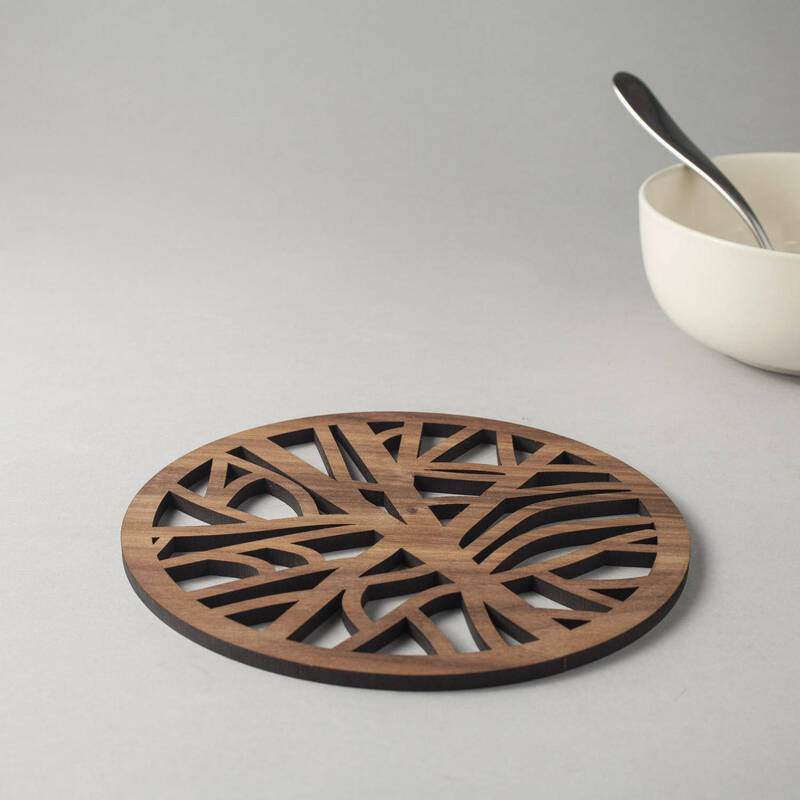 Laser cut, geometric works of art and utility, featuring an interpretation of a tree with branches. Made from genuine American Black Walnut veneered board, they make for a stunning and original gift. Ideal for either the home or the office, they blend in to the theme of most rooms. Guaranteed to appeal to lovers of geometry, cell structures, patterns found in nature, or indeed anyone with an interest in contemporary design, or people who just appreciate interesting and unusual patterns. All my designs are unique, original and registered. You can only buy them directly from me here, on Etsy, and in retail shops in the UK which stock my products.